People with bipolar disorder who were experiencing significant suicidal thoughts saw those thoughts decline within 24 hours after a single dose of ketamine. Thoughts of suicide in patients with bipolar disorder declined significantly within 24 hours following treatment with ketamine, according to a small randomized trial reported April 28 in the journal Bipolar Disorders. As many as 25 percent of people with bipolar disorder make at least one suicide attempt in their lifetimes. Unfortunately, most antidepressant treatments that benefit patients with “unipolar” depression are not appropriate for treating depressive episodes in patients with bipolar disorder, and interventions that reduce suicidal thoughts and behavior in this group are severely limited. Ketamine is an anesthetic drug that has been found to rapidly relieve the symptoms of depression. The drug’s side effects, which include hallucinations and dissociation (a feeling of being outside of one’s body), as well as its addictive potential, limit its potential for clinical use, but researchers are continuing to study its fast-acting effects, looking for clues that might lead to better treatments. The drug has been found to reduce depression in patients with bipolar disorder, but has never been tested specifically in bipolar patients with clinically significant suicidal ideation. 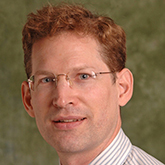 To address ketamine’s effects in that group, a team led by 2004 NARSAD Young Investigator and 2013 NARSAD Independent Investigator Michael F. Grunebaum, M.D., at Columbia University Medical Center recruited 16 patients with bipolar disorder for a pilot study. The 16 trial participants were all experiencing a major depressive episode and reported significant suicidal thoughts at the time of the trial. Each was randomly assigned to receive a single dose of either ketamine or midazolam, a sedative that has not been found to alleviate symptoms of depression. Twenty-four hours after treatment, suicidal thoughts had declined more in patients who received ketamine than in those who received midazolam. In those who experienced a reduction in suicidal thoughts, memory also improved. Based on these results, the scientists say a larger clinical trial is warranted to further evaluate ketamine’s effects on suicidal thoughts associated with bipolar disorder. The team included Dr. Grunebaum’s Columbia University Medical Center colleagues John G. Keilp, Ph.D., a 1996 and 1998 Young Investigator; M. Elizabeth Sublette, M.D., Ph.D., a 2007 Young Investigator; and J. John Mann, M.D., a 2008 Distinguished Investigator and BBRF Scientific Council member.